During recent years, the amount of data released on platforms by public administrations around the world have exploded. Open government data platforms are aimed at enhancing transparency and participation. Even though the promises of these platforms are high, their full potential has not yet been reached. Scholars have identified technical and quality barriers of open data usage. Although useful, these issues fail to acknowledge that the meaning of open data also depends on the context and people involved. In this study we analyze open data usage from a practice lens – as a social construction that emerges over time in interaction with governments and users in a specific context – to enhance our understanding of the role of context and agency in the development of open data platforms. This study is based on innovative action-based research in which civil servants’ and citizens’ initiatives collaborate to find solutions for public problems using an open data platform. 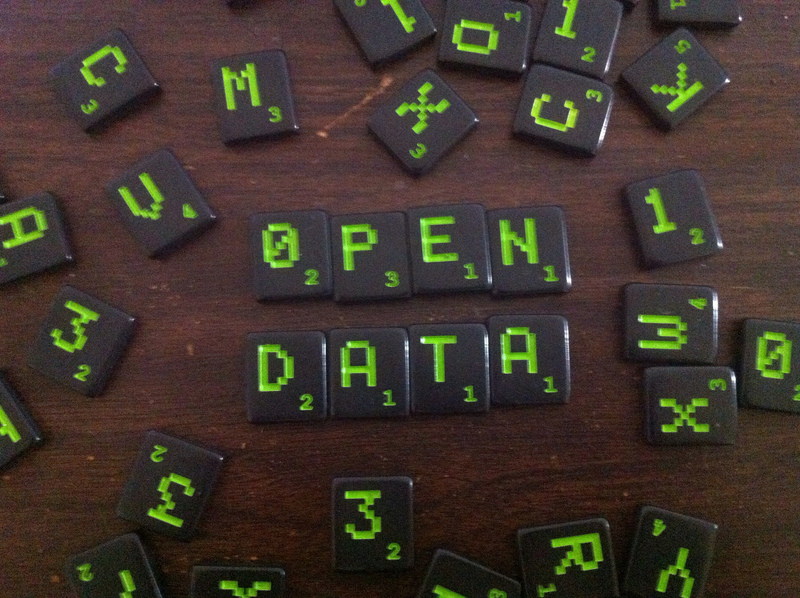 It provides an insider perspective of Open Data Work. The findings show that an absence of a shared cognitive framework for understanding open data and a lack of high-quality datasets can prevent processes of collaborative learning. Our contextual approach stresses the need for open data practices that work on the basis of rich interactions with users rather than government-centric implementations. This study provides an insider perspective of Open Data Work by demonstrating what people actually do with open data, what impact it has and what we can learn from this about the skills, knowledge and technologies that open data usage requires. It shows how a collaborative learning process around open data is crucial to develop practices that are supported by citizens’ initiatives. Lastly, it demonstrates how ongoing (digital) interactions over open data can result in shared understandings and meaningful practices. Openness is considered a good governance principle. In this light open government data initiatives have exploded around the world (Vetrò et al., 2016). Open government data (OGD) are non-privacy-restricted and non-confidential data, produced with public money and made available without any restrictions on their usage or distribution (Janssen et al., 2012: 258). The release of OGD is stimulated by initiatives such as the international Open Government Partnership, in which more than 75 countries are participating (Open Government Partnership, 2017). OGD are said to be the goldmine in public administration (Kroes, 2011) and are expected to strengthen democratic and governance processes (Safarov et al., 2017). However, up until now the use of these data has been lagging behind and the actual impact is limited (Attard et al., 2015; Ruijer and Martinius, 2017). Part of the problem has been identified in the current data management and publication practices of governments, raising practical barriers for users of OGD (Dawes and Helbig, 2010). Consequently, attention has been paid in OGD literature to uniform user barriers in the form of technical and quality issues, for example (Dawes et al., 2016; Zuiderwijk and Janssen, 2014). This rapidly growing new field has attracted scholars and practioners with differing understandings and views of OGD (Gonzalez-Zapata and Heeks, 2015). These perspectives have produced important understandings but generally fail to produce an in-depth understanding of what actually occurs in the interaction between government organizations and citizens’ initiatives when using OGD. Usage patterns of technology are often regarded as rational and generic rather than subjective and contextual (Fulk et al., 1990). Meijer et al. (2014) stress that OGD and their uses should also be studied as social constructions that emerge over time in a specific context, leading to a richer insight into the dynamics and complexity of OGD usage. To enhance our understanding of the underlying patterns of the social construction of OGD, we need to study how government organizations generate – or do not generate – access to OGD, how they interact with citizens’ initiatives and how a practice of OGD usage is socially constructed in a specific situation. The aim of this study is to obtain insight into actual OGD usage and to enhance our understanding of the role of context and agency for OGD usage. This research builds upon fundamental insights from studies of organizational usage of information systems such as the social construction of technology (Bijker, 2012), technology structuration (Orlikowski, 1992) and technology enactment (Fountain, 2001). Orlikowski (2000) summarizes these insights with the term ‘practice lens’. This lens enables us to examine how people interact with technology and is better able to explain emergence and change in both technologies and their use in context (Orlikowski, 2000: 404). This theoretical perspective helps us to understand OGD usage not as it should be but as it is. The article presents results from innovative action-based research on concrete OGD usage. In our study civil servants collaborate with representatives of grassroots organizations in order to find insights and solutions for public problems based on OGD. This research contributes to the literature in three ways. First, it contributes to the literature on transparency and OGD by enhancing our understanding of how OGD practices are socially constructed by a variety of actors in a specific contextual situation. This study goes beyond the uniform dos and don’ts as many of the analyses of barriers and drivers do (Zuiderwijk and Janssen, 2014). Rather it emphasizes the need for OGD practices that work on the basis of rich interactions and collaborative work with citizens’ initiatives rather than government-centric implementations. Second, it contributes to the literature on collaborative learning processes (Dillenbourg, 1999; Fung, 2004; Johnson and Johnson, 1996) by providing further insight into the construction of joint knowledge based on OGD in collaboration with others. Third, our study contributes to the literature by connecting instrumental debates about OGD to perspectives on technological practices developed in the organization science, sociology and information systems (Kling, 1991; Orlikowski, 2000, 2010). It enhances our understanding of the role of context and agency in the development of technology or more specifically in the development of OGD platforms. The expectations of OGD are high, but the full potential of OGD has not yet been reached (Safarov et al., 2017; Worthy, 2015). The OGD process is complex (Zuiderwijk and Janssen, 2014). The process of implementation, also called the OGD life cycle (Attard et al., 2015), consists of data creation, data publishing, findability, usage and discussion around data (Zuiderwijk and Janssen, 2014). This process is in line with the goals of open government: transparency and participation (Meijer et al., 2012). In order to advance the goals of open government, an OGD platform should enable data discusssion as well as facilitate collaboration between government and citizens (Ruijer et al., 2017; Sieber and Johnson, 2015; Zuiderwijk and Janssen, 2014). After all, the construction of knowledge depends upon relations with others (Fung, 2004; Johnson and Johnson, 1996). It requires collaborative learning, a process which occurs when a group works together to acccomplish shared goals (Johnson and Johnson, 1996). Currently, however, governments mainly focus on what Sieber and Johnson (2015) call ‘data over the wall’, where governments publish OGD via a portal and where interaction and participation with citizens is limited. However, in order to advance the goals of open government it is important to further reflect on the possibilities of OGD usage and not simply view publishing OGD as an end point (Sieber and Johnson, 2015). In the current literature, the possibilities of OGD usage are presented from differing perspectives (Gonzalez-Zapata and Heeks, 2015). Based on a literature review, Gonzalez-Zapata and Heeks (2015) distinguish four differing perspectives: the bureaucratic perspective is associated with OGD policy; the political perspective views OGD as a fundamental right; the economic perspective conceives OGD as a way of economic growth and the technological perspective focuses on technology design. These perspectives have generated various insights into opportunities, barriers, differing stakeholders of OGD usage and in the roles and relationships between government and stakeholders (Dawes et al., 2016; Sieber and Johnson, 2015). A dominant idea in the studies of OGD is that barriers need to be identified and strategies need to be developed to tackle these barriers (Zuiderwijk and Janssen, 2014). Although important, these perspectives do not analyze how governments and citizens actually use OGD. In fact, based on a systematic literature review, Safarov et al. (2017) point out that little is known about the types of utilization of OGD citizens are interested in. Therefore in this article we argue that in order to better understand the complexity of OGD usage we should analyze how governments and citizens interact over OGD platforms and what they actually do with OGD in their everyday life. In short, a practice perspective is missing. Or an analysis of ‘Open Data Work’ (see also Colebatch et al., 2010, who speak of ‘Policy work’). A practice lens posits users as constituing structures in their recurrent use of technology (Orlikowski, 2000). It focuses on what actually happens in a specific context: the everyday activity is the object of analysis (Orlikowski, 2010). The practice lens is associated with the label practice oriented approach which focuses on what people actually do rather than what they say they do (Corradi et al., 2010). The practice lens builds on theories regarding organizational usage of information systems: technology structuration (Orlikowski, 1992), the social construction of technology (Bijker, 2012) and technology enactment (Fountain, 2001). Orlikowski’s strucurational model of technology (1992) is aimed at analyzing the nature and role of technology in organizations. This model assumes that technology has certain structural properties, but these properties are enacted by users who use technology in a specific institutional context (Orlikowski, 1992; Meijer, 2008). Structurational models of technology are highly influenced by social constructivism (Bijker, 2012; Orlikowski, 2000; Pinch and Bijker, 2012). Social construction places meaning making at the center. Human interpretations of the world produce social reality (Schneider and Sidney, 2009). In her Structurational Model of Technology, Orlikowski (1992) stresses that technology is socially constructed by users through the different meanings they attach to it and the features they use. Furthermore, institutional properties influence users in their interaction with technology, while interaction with technology also influences the institutional properties of an organization by reinforcing or transforming them (Orlikowski, 1992). In this vein, Fountain’s (2001) Technology Enactment Framework stresses the influence of context on the design, development, implementation and use of technology. The framework distinguishes objective properties of technology (hardware and software) from enacted technology (the perception of users as well as design and use of technology). The enactment of a technology-in-practice is situated within social systems; organizational forms (bureacuracy and interorganizational networks) and institutional arrangements (rules and requirements) (Fountain, 2001). Through the situated and recurrent nature of everyday activities, consequences or outcomes are produced and become reinforced or changed over time (Orlikowski, 2010: 25). The practice perspective can be translated to working with OGD. It accommodates the users’ situated usage of OGD. Several elements can be distinguished (see online Figure 1): the organizational and institutional context (a) in which the OGD platform with its properties (b) is enacted by a user situated in the context (c), leading to certain outcomes (d). The practice perspective focuses on what structures emerge as people interact with an OGD platform in a specific context. It concentrates on what users actually do with OGD in their situated practice, how they interact with the OGD platform in ways not always anticipated by OGD providers or OGD platform designers. Users have the option to choose to do otherwise (Orlikowski, 2000). These anticipated and unanticipated outcomes have the potential for learning, improving OGD platforms and reinforcing or transforming organizational and institutional structures. The empirical data were collected via action research. This method is often used within a practice perspective and is especially useful in technology studies (Orlikowski, 2010). Action research is an approach in which researcher and members of a social setting collaborate (Bryman, 2012). Action research embraces the notion of knowledge as socially constructed and, recognizing that all research is embedded within a system of values, promotes some model of human interaction (Brydon-Miller et al., 2003: 11). The study took place in a rural province in the Netherlands. In collaboration with civil servants of the province it was decided to focus on the public problem of population decline because this issue was a priority for both the province and its inhabitants. This province is faced with the highest population decline in the Netherlands. In some regions of the province, the population will decline by almost 20 percent by 2040 (www.government.nl). In total 23 participants were part of this study: civil servants, representatives of citizens initiatives, students and researchers. The civil servants invited to join the study were both policy experts on population decline and OGD experts. The participating stakeholders consisted of members of two grassroots initiatives actively involved in dealing with population decline. Together with the researchers they formed a project group. During the project group meetings, scenarios were developed based on real-life issues that the representatives of grassroots initiatives were working on. Data collected before working with OGD consisted of minutes of meetings with civil servants and representatives between September 2015 and June 2016 and transcripts of interviews (see Table 1: please see supplementary material online). In addition, slack capacity in the form of 10 students was added to the project group in order to contribute to finding solutions for the two scenarios. The students were recruited in order to work together with the civil servants and citizens around the scenarios. They participated for five weeks in the spring of 2016 on the OGD platform on population decline issues. In order to keep the students motivated a payment was promised after accomplishing the task. During these five weeks data were collected via interviews, face-to-face group meetings and students were asked to keep a log. During the first group meeting the students received training on how to work with the OGD platform. During the second group meeting halfway through the project the participants reflected on their findings: did they find relevant OGD? How had they used the OGD platform so far? After working with the OGD platform another meeting took place in which all the participants together reflected on the platform and the knowledge constructed and solutions found based on OGD. The data collected during the project meetings and during the five weeks of OGD work were analyzed using a thematic analysis. In addition, we observed and analyzed the online activities of participants. A content analysis was conducted by two researchers that focused on the functionalities of the platform used, datasets used and type of online interaction. Based on a first round of open coding followed by selective and axial coding (Bryman, 2012), four categories of online interactions were identified (see also Baker et al., 2017): (1) Regulative, whereby the online interactions are focused on the organization of the joint tasks; (2) Informative, whereby the interactions focused on information sharing; (3) Evaluative, aimed at argumentative interaction; and finally (4) Constructive, aimed at collective interpretation and solutions to the problem. The intercoder reliability: Cohen’s kappa was 0.702, which reflects substantial agreement between the two coders. The action research took place in a rural province in the Netherlands and focused on population decline. The province has a directing role in the problem of populaton decline, and the overall policy strategy is to foster cooperation between active members of the community, care institutions, housing associations, schools, and businesses in order to develop solutions together. In terms of the rules and requirements, the coalition agreement of the province states (D81) that the present society demands an open management style in which collaboration and transparency are essential for trust between government and society. It requires openness of data. The Dutch national OGD policy applies to the province and is based on the Dutch Freedom of Information Act (Wet Openbaarheid Bestuur, Wob), implemented in 1980, and the 2003 Directive of the European Parliament and the Council of the European Union on the reuse of public sector information. At the time of the project the provincial OGD portal contained more than 70 published datasets. However, the portal had so far rarely been used and did not offer a discussion feature. After that, the project group explored the availability of relevant OGD for the scenarios. The existing OGD portal of the province contained only a few relevant datasets. Consequently, the province released five new relevant datasets. Moreover, it was discovered that relevant datasets were not only collected by the province but also by other organizations at the national, regional and local levels, which all needed to be brought together on the platform. Finally, the province used to have its own research department but due to budget cuts research is currently conducted by a separate body. Here the issue of ownership emerged, which made the province realize that in future contracts with third parties it should be explicitely agreed upon who owns the raw data. After identifying the specific questions of the grassroots intiatives, the goals to be achieved and the availability of data, the next step was to actually work on the the OGD platform. (Table 2: please see supplemtary material online). For this study the existing OGD portal of the province that only allowed for downloading datasets was not used, but rather employed a newly developed OGD platform that is part of an innovation project.3 The new platform encompasses two tools that facilitate participatory and transparency processes. The Social Platform for OGD enables social interactions among OGD users and between OGD users and government data. The Transparency-Enhancing Toolset provides basic analytical tools for reducing datasets into a more understandable form for users. The properties of the platform are described in Table 3 (please see supplementary material online). In the next section we will describe how government and citizens actually used the different properties of the OGD platform. Initially, the members of the project group themselves were asked to work on the platform. However, after working on the platform the stakeholders noted that they themselves were no experts in working with data and that data skills were necessary to use the OGD. This resulted in the involvement of other community members who did possess the required competencies (Meeting 3). Moreover, it was decided that slack capacity was necessary in the form of students who possess dataskills and can function as problem solvers. After that, students, civil servants and stakeholders were asked to further define the issue together, find relevant data, generate ideas based on the data and write a report on the OGD platform. The personalized data search function of the platform was experienced as potentially helpful but with the current datasets the scope was not specific enough for the concrete scenarios. As an unintended consequence, some students created their own more specific dataset based on extensive generic datasets or on information from pdf files. In total, nine new datasets were uploaded onto the OGD platform. The limited usability of the datasets also had consequences for making visualizations and using the pivot table, which allowed them to make calculations based on the data. Because the meaning of the labels of the datasets was often unclear, it was difficult for the participants to decide whether to construct, for example, a bar graph, a table or line graphs based on the data. Eventually, only three visualizations were made on the platform and the pivot table was barely used for analysis. Another unintended consequence was that students started using visualizations that were already available online and placed links to these visualizations on the platform. The participants used the personal space to make visualizations. The discussion room was used for sharing information and the co-creation room to develop ideas that eventually led to a report on the scenario. If we look at how many messages were posted in the discussion room, it can be observed that in the bio-based economy scenario 161 views and 34 comments were posted. In the discussion room on the healthcare scenario, 194 views and 53 comments were counted. This implies that several participants logged in and observed what happened but did not actually contribute. When analyzing who posted the messages, it can be observed that all participants logged on to the platform but only half of the civil servants and stakeholders had responded to the students by commenting on the written statement the students were preparing based on the scenario, participating in the discussion or providing background information. Furthermore, none of the stakeholders and civil servants had provided the students with OGD sets but some had indicated where to look for datasets. Thus, the actual interaction between the civil servants and students and between the stakeholders and students on the platform over OGD was limited. Stakeholders and civil servants indicated the lack of time, the new way of working and losing the overview of the discussion as reasons for not participating. Participants also stressed the importance of alternative means of communication. An unintended consequence was that students created a WhatsApp group, met up in person in order to make process-related agreements and contacted the stakeholders and civil servants by e-mail and telephone. In general the participants did express the importance of interaction and community building in order to find solutions for policy issues based on OGD. One stakeholder indicated that during this interaction with students he had encouraged them to also think outside the box and to not only combine obvious datasets but to also make unusual combinations. Finally, if we analyze what type of messages were posted then it can be observed that in the healthcare scenario out of the total messages posted 71 percent of the messages were aimed at information sharing, 17 percent at evaluation of the information, 8 percent at constructive collaborative interaction over information and 4 percent at collaborative task regulation. When analyzing the content of the messages posted for the circular economy scenario, it can be observed that 52 percent of the messages by the participant are aimed at information sharing, 32 percent at constructive collaborative interaction towards finding a solution for the problem, 8 percent evaluative comments regarding the tools and 8 percent at collaborative task regulation. Hence, even though the circular economy group posted fewer messages, they collaborated more towards finding joined solutions for the scenario compared to the other group who mainly shared information. (Figure 2: please see supplementary material online). The participants eventually constructed two concrete outcomes in the form of reports constructed in the co-creation room of the OGD platform. In these reports a description of the scenario is given, the OGD used are described and insights into and solutions for the scenario are provided. The main difference between the two reports, in line with the messages posted (see previous section) is that the report of the circular economy scenario mainly consists of solutions based on OGD, whereas the healthcare scenario report mainly presents information and provides insight. According to the participants this difference could be explained by the fact that for the healthcare scenario a specific question was formulated whereas the problem statement of the circular economy scenario was more broadly defined, leaving more room for creativity. The stakeholders indicated that they liked the ideas and solutions generated in the reports. Another stakeholder disagreed, and indicated that she thought the insights could be more specific if the right datasets had been available. Others indicated that there are shortcomings to the current results in the form of ideas and solutions provided based on OGD but these results could be enriched based on further interaction and learning. In terms of institutional and organizational arrangements, the reports were used to put OGD on the political agenda. A civil servant sent the report together with a letter to a political representative. In addition, the director of the department responsible for population decline was invited to the evaluation meeting. He indicated that actually using OGD as an instrument for policy issues showed the value of OGD. He realized that it requires a different way of working and that the province itself can play a role in this development while supporting citizens’ initiatives. Civil servants indicated that they had learned a lot just by participating in the project and also realized the importance of opening up and sharing data also in their own work. One policy maker indicated that OGD is a blind spot in his daily work and would like to further explore the possibilities. OGD experts realized that there is not always a match between the data released by the province and the data needed by stakeholders for a specific issue. The participants concluded based on their working with OGD that OGD should be part of the information strategy of the province concerning policy issues. In terms of the properties of the platform, the action-based study resulted in a list of 69 suggestions for the further development of the platform ranging from bugs, enhancements for the existing features, search quality and usage of datasets and enhancement of interaction. One of the unintended consequences was that students created their own datasets based on the datasets found. Therefore it was suggested for the further development of the platform, to incorporate the option of not only the co-creation of documents but also of datasets. This article aimed to obtain insight into actual OGD usage and to enhance our understanding of the role of context and agency by analyzing OGD as a social construction from a practice lens. Our analysis shows what users do with OGD in particular situations, what impact it has and what we can learn from this about the skills, knowledge and technology that OGD work requires. Participants in our study constructed joint knowledge and solutions for a real-life issue thereby using an OGD platform. At the same time our research showed that the absence of a shared cognitive framework for understanding OGD and a lack of high-quality datasets could prevent processes of collaborative learning. Human interpretations produce the social world; shared understandings among people generate rules, norms, concepts, and institutions (Schneider and Sidney, 2009: 106). OGD usage is not simply about uniform barriers that need to be tackled but is a complex process of interaction with technology, communication among stakeholders and government organizations, and collaborative learning. In order to advance from a producer ‘data over the wall’ perspective to more open collaborative models that advance the goals of open government (Sieber and Johnson, 2015), communication between government and stakeholders over public problems and related relevant high-quality OGD is essential. Our study has several theoretical implications. First of all, our findings connect well to the discussion in the literature about nominal and effective transparency. This discussion revolves around the question whether transparency can exist if there is no one to make use of it. Effective transparency requires receptors capable of processing, digesting and using information (Heald, 2006). These insights can be translated to OGD and, more specifically, to local practices around OGD platforms. While previous analyses of OGD platforms focus on nominal transparency by removing generic barriers, the practice lens that we applied provides insights that can help to strengthen the contribution of OGD to effective transparency. The action research shows that this is not an easy task since there is bound to be a mismatch between the needs and expectations of users and the possibilities offered by available datasets. Our focus on OGD work actually helps to see how different actors make an effort to turn nominal transparency into effective transparency. An approach that entails frequent interactions with users of OGD can help to construct new realities that will eventually benefit more effective reuse of OGD. In our study, students had a key role in open data work. For practitioners it might therefore be interesting to explore collaborations with higher education or even high schools. In our study students not only used datasets but also other types of information for their report. This information was needed because of the lack of available datasets but also in order to gain a better insight into the scenario. This seems to indicate that when using societal issues as point of departure, more is needed than the reuse of datasets; other sources of information can be valuable as well. Second, our action-based research is an example of how organizations can start a collaborative learning process around OGD and could be followed up by ongoing (digital) interactions to facilitate the learning process that is to result in shared understandings and meaningful OGD practices. As Andriessen et al. (2013) point out, knowledge lies less in databases than in people; it has to be disclosed by collaborative activities. Our study highlights that meaningful OGD provision requires that government organizations engage in a dialogue and learning process with citizens and other stakeholders: learning on the job. Thus, government organizations need to heed the generic guidelines that have been identified in the literature (Dawes et al., 2016; Zuiderwijk and Janssen, 2014) but, in addition, they should explore potential uses in interaction with stakeholders to develop more meaningful forms of transparency. Third, this article connects instrumental debates about open government usage to nuanced perspectives on technological practices as developed in the fields of organization science, sociology and information systems research (Kling, 1991; Orlikowski, 1992, 2000, 2010). For this reason, we conceptualized OGD usage as OGD work: users actively working with OGD to provide meaning. In line with Orlikowski (2010), we shifted the focus of the analysis from the OGD platforms to the people that develop and use these technologies. Usage of technology is subject to contextual influence in the form of widespread norms and pressure for sense making (Fulk et al., 1990). Connecting to users and building useful forms of OGD usage requires new approaches. As Sieber and Johnson (2015) point out, participatory OGD models demand a shifting role of government. Governments must trust that stakeholders can provide real value and must value their perspectives and participation. Stakeholders expect government to be receptive about their contributions (Sieber and Johnson, 2015). Some limitations can be pointed out as well. The lack of high-quality datasets influenced working with data and the technology. The availability of more high-quality datasets might have led to other results. In addition, this study was conducted in a province in the Netherlands. The Netherlands scores low on the international corruption perceptions index (Transparency International, 2017) and high on the international Open Data Barometer (Open Data Barometer, 2016). In other countries, other responses might be found. Yet, our research approach seems promising for local governments in other countries in order to develop OGD practices that work on the basis of rich interactions and collaborative work with users. Our research highlights that technology is both facilitating and constraining for OGD work and thus a specific understanding of technology-in-context is needed to provide relevant tools. A more participatory approach to the development of OGD platforms is needed to prevent a situation where there are great technological opportunities but no usage. Supplementary material for this article is available at http://journals.sagepub.com/toc/ras/. The authors would like to thank their ROUTE-TO-PA colleagues for their valuable contributions. This project has received funding from the European Union’s Horizon 2020 research and innovation program under grant agreement No. 645860. 1D stands for documents used for this study. 2R stands for respondent during interviews and project meetings. Respondents are either civil servants or representatives of citizens’ initiatives. 3A multidisciplinary European funded Horizon 2020 project: ROUTE-TO-PA.
Erna Ruijer is a post-doctoral researcher at the Utrecht University School of Governance. Her research interests include open government data, social equity and living labs. Stephan Grimmelikhuijsen is an assistant professor at the Utrecht University School of Governance. His research interests include open government, legitimacy, experimental and behavioral public administration. Jochem van den Berg was a student-assistant at the Utrecht University School of Governance. He now works as an Open Data consultant for Dutch governments. Albert Meijer is a Professor of Public Innovation at the Utrecht University School of Governance. His research interests include open government, living labs, public innovation and e-government.